The a35.2 is a big powerful sounding integrated amplifier built to fit neatly into the modern household. Geared primarily toward the music lover with a two channel audio system, we have included a Direct AV input (home theater bypass), for those that want to use the amplifier section of the a35.2 to power the front channels in a home theater set-up. Constructed using the finest parts and hand assembled, the a35.2 is sure to impress. It’s the heart around which a great sounding system can be built. With an initial offering of 8 cameras, 3 DVRs and 1 amazing iPhone app – we're confident this lineup will meet the requirements of your CCTV needs. 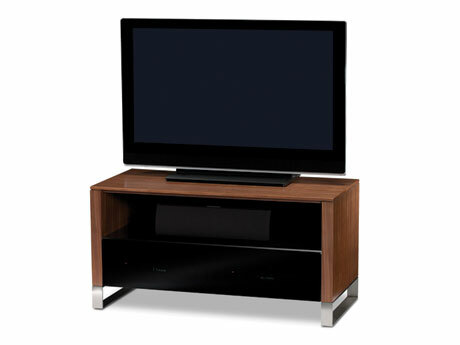 A clean, linear design, CASCADIA home theater cabinets are an elegant way to present a TV and components. The substantial top and side panels are complemented by refined reveal details. A grey tinted glass flip-down door keeps components neatly out of sight. The generously sized open shelf is ideal for a center speaker, soundbar or additional components. UltraVue 80ft HDMI Long, Uninterrupted and it Works! 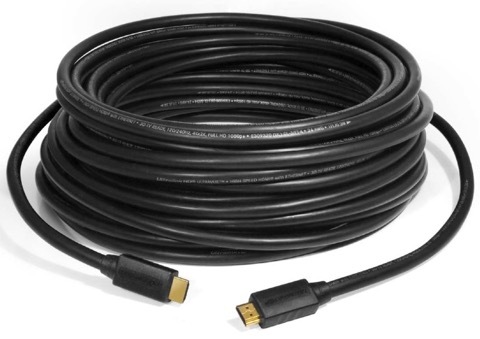 UltraVue is the ultra-long, ultra-reliable, uninterrupted-run HDMI solution of the year! Most if not all HDMI failures occur in the connectors. The vast majority of extended runs are built up with baluns, repeaters, amplifier chips, EQ and external power supplies that multiply failure rates. UltraVue’s Digital Alloy -- silver-coated copper-clad steel -- delivers extremely high tensile strength. Other breakthrough techniques means UltraVue is the perfect if not the only cable for over 50-foot runs! This revolutionary RetroFit product distributes Internet over existing coax, throughout a home. 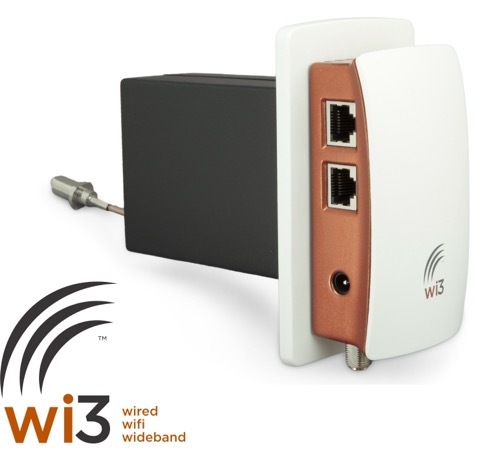 In its current release, WiPNET provides two wired network ports, at up to 16 CATV/Antenna TV locations. 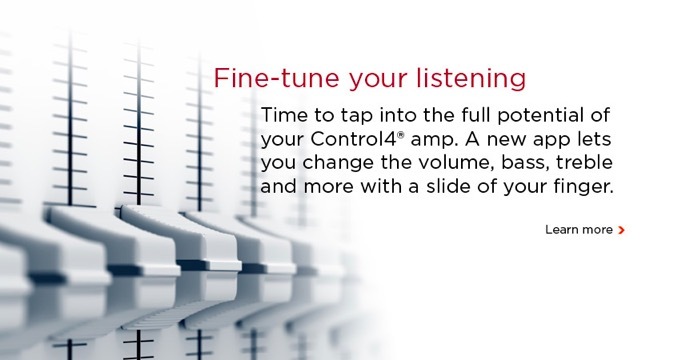 Premium Quality Audio Performance combines with the latest technological advances, including iPhone app compatibility, network functionality, front panel HDMI and USB digital connections, HD Audio decoding with CINEMA DSP 3D, and 6 in/1 out HDMI (3D and ARC compatibility). At just three-inches square they’re personal and portable, ideal for home, on your desk or on the go! Available in brilliant fashion –forward colours – they look as fabulous as they sound on brushed aluminum stands. You’re gonna love their small sleek footprint, iconic design and big dynamic sound; they create a wide stereo image so everyone can enjoy music and video! Just plug the speaker with the USB connector into your computer’s USB port and your’re ready to roll!!! Two sources, 3TB of combined storage and the ability to add as much storage capacity as needed with Fusion's "Add Your Own Storage" licensing system. Get two Studio blu-ray Movie Servers for only $5495. That's $2500 off the regular retail price! Sonos just amplified your radio power! Sonos is doubly excited to announce that AUPEO! Personal Radio and Stitcher SmartRadio™ are now part of the Sonos music service lineup. For radio and podcast fans, these free services are sure to amp up the excitement music lovers this spring and summer.